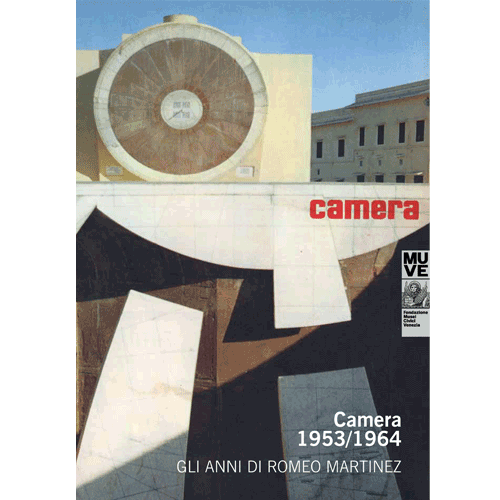 Catalogue of the exhibition "CAMERA 1953/1965. Gli anni di Romeo Martinez", organized at Ca' Pesaro - Galleria Internazionale d'Arte Moderna, from Dicember 12, 2013 to February 16 2014. The exhibition include the most significant issues of “Camera” and photographic documentation concerning the most important phases of Martinez’ work, with special reference to his presence in the city. Material from his own private archive will also be on display. Catalogue printed in colour, in 2013, 96 pages. Texts in Italian.